Ivanka Trump stepped out in style as she was photographed while leaving her Washington, D.C. home on Thursday morning. 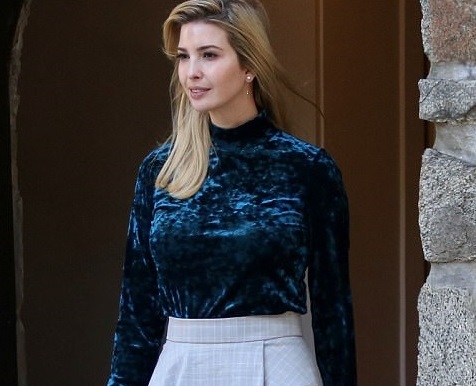 The 35-year-old first daughter os US president Donald Trump donned a figure-hugging velvet turtleneck which she paired with a light gray pencil skirt. Ivanka who's an advisor to her father also completed her look with a pair of $100 black pointed-toe heels as she headed out the door.